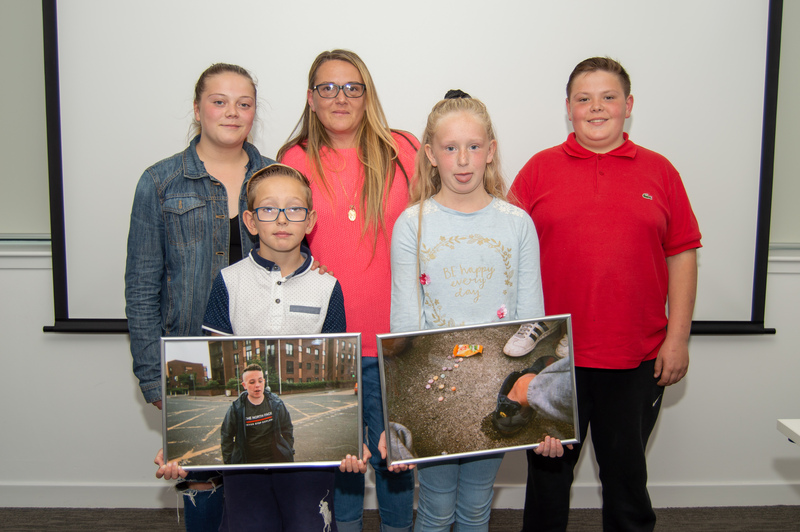 An 8-year-old from Govan has won a citywide photography competition for his depiction of friendship through a series of photos taken on a disposable camera. Organised by the Glasgow Youthpoint service of Aberlour Children’s Charity, George Wilson’s raw and authentic portrayal of friendship caught the imagination of those on the judging panel, including BAFTA award winning director Garry Fraser, who worked on Trainspotting 2 with Danny Boyle and photographer and picture editor for The Herald, Damian Shields. There were 400 entries from young people across Glasgow aged between eight and 25, taking photographs on camera phones and disposable cameras which were split into three categories; My Friends, My Hobbies and My Community. The winner of the ‘My Hobbies’ category was Erin Egan, aged 10, from Kennishead, who captured an image of a young girl playing on her trampoline in the sunshine. The winner of the ‘My Community’ category was Abby Buchanan, aged 11, from Kennishead, who captured an image of a green riverside walk in a suburb of Glasgow. Aberlour Youthpoint Glasgow uses the street-work setting to build relationships and open-up opportunities, such residential outings and on-to-one support, for young people living in areas of high deprivation, crime and drug use. The service is currently supporting approximately 270 young people across the city.